Ad agency Joystick Interactive has announced that it is now accepting bitcoin as payment and will also offer a generous discount to clients who choose to pay in the digital currency. 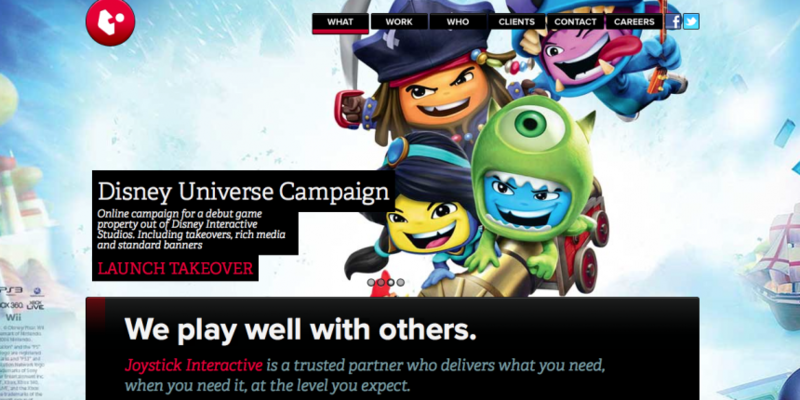 Joystick Interactive is not a small outfit, having offices in New York, Los Angeles and London. The agency’s client list is rather impressive too, featuring big names like Google, Toyota, Disney, Mazda, Sony and Activision. To mark the occasion, Joystick Interactive is offering a 20% discount to all clients who choose to pay in bitcoin. Since top notch ad campaigns don’t come cheap, this could amount to a very sizeable discount. It also makes the company’s decision to embrace bitcoin somewhat puzzling, as big clients like Google and Sony are not very likely to pay in the digital currency, but perhaps there are enough startups in the bitcoin world now to constitute a market. Joystick Interactive says it is passionate about bitcoin and that its decision to embrace it is merely a continuation of its creative streak. The agency emphasises innovation and digital technologies, so bitcoin sounds like a good match for Joystick’s cutting-edge image. Could this be just another publicity stunt? After all we are talking about an ad agency. Generating positive buzz is in their line of work. The agency insists that it is drawn to bitcoin for all the right reasons, not publicity, and that the “embryonic digital currency world” of today reminds the founders of the early days of digital advertising. It seems to be a case of nostalgia and emotions rather than good publicity. The agency believes its decision to offer a 20% discount to bitcoin clients will demonstrate its commitment to bitcoin and digital currencies as a whole. While this is a rather unusual niche for bitcoin, and Joystick Interactive does not obviously have much to gain from low transaction fees or other features of bitcoin, another big name adopting the digital currency is always good news.